Sending your child off to school is worrisome enough as a parent—but when your child has a food allergy, that anxiety amplifies. My daughter is highly allergic to peanuts—off the charts allergic. Three years ago, when she was in kindergarten, I frequently received calls from her school that she had experienced a topical allergic reaction. Given the severity of her allergy, and the fact that they sold PB&Js in the cafeteria, this didn’t come as a surprise. Her school had archaic food allergy protocols and procedures in place, and didn’t seem to grasp the severity of the situation. Their cafeteria was effectively a minefield for my daughter! You should know: I'm not the kind of person that accepts the things I can't change. I change the things I can't accept. And I couldn’t accept living in constant fear for my daughter’s life. 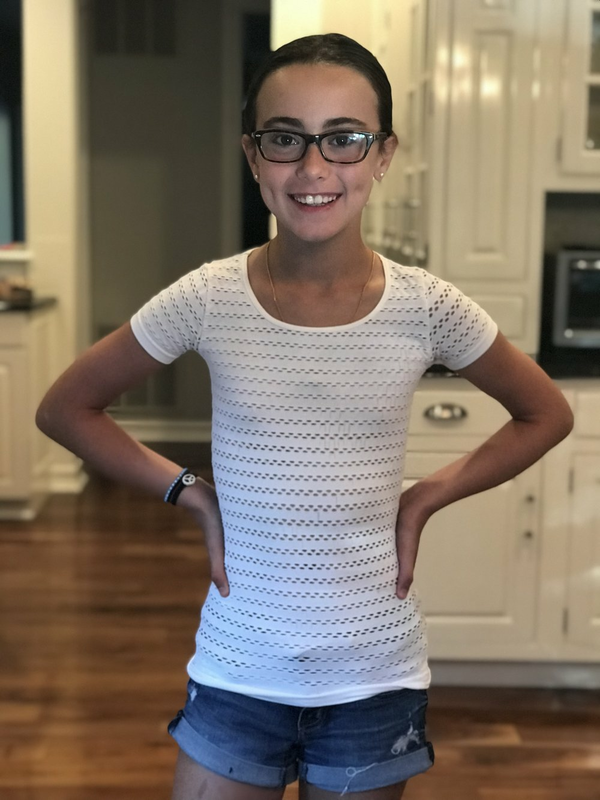 Fast forward three years, and her school district now has a food allergy awareness program in place and is making considerable strides to keep children with food allergies safe. How did this come to be? A few things happened. First, I engaged the school nurse. When I initially relayed my concerns, her response was, "We have food allergy guidelines in place." Now, let’s be clear, these guidelines weren’t routinely followed or required—they were recommendations. I felt for her, because she truly didn’t seem to grasp the seriousness of the situation; in her defense, she grew up in a time when food allergies weren’t an epidemic. It was then I realized what was missing—a true understanding of what was going on. People don’t know what they don’t know! In my heart I know that no parent, teacher, or school nurse would ever do anything to intentionally harm my child, yet there seemed to be a serious lack of awareness around the severity of her food allergies. My first goal was to make sure the district removed PB&J sandwiches and nut products from school cafeterias. After that, I focused on promoting education and awareness within the schools, and with children and their families. We needed to foster an environment of inclusivity, which I felt was sorely lacking. I’ve learned that adults find change difficult, but children usually embrace it! Change is usually most successful with smart, slow, and strategic execution. We published a series of educational articles in weekly school newsletters and integrated food allergy awareness and education into school events (e.g., PTA meetings, school assemblies, book fairs, harvest days, etc.). We also organized book readings and games to coincide with national Food Allergy Awareness Week. The children embraced learning how to keep their allergic classmates and friends safe, and in turn, educated their parents by sharing what they learned in school. Coming home from school with a sticker that said, "I kept Sophia safe today,” prompted their parents to ask about the meaning of the sticker, and often began a conversation about food allergies. If mom or dad was making a PB&J sandwich for lunch the next day, their children might say, "Don’t make me that! It’s not safe for my friend!" There are eleven elementary schools within our school district. We piloted this program at one school, then another, and another, and soon our awareness and education program was implemented throughout the entire district! In the meantime, we collaborated with the district administration to update and rewrite the food allergy protocols and procedures, and built food allergy education into lesson plans. We also created a district-wide food allergy informational brochure for incoming and existing families within our schools. Our efforts weren’t met without resistance, and these achievements took time and patience. I’ve learned that to work collaboratively and effectively with schools and other parents, it’s important to be clear and explain the WHY. Why are we removing peanut butter from schools? Why is my daughter unable to bring in cupcakes for her birthday? From experience, once someone understands the WHY, they often embrace the change. In turn, they often become a food allergy advocate themselves! Abbe Large is a Senior Vice President at Lenox Advisors. She has held leadership positions within her school district’s PTA and currently sits on her town’s education committee. Abbe is a minority investor in Allergy Amulet.